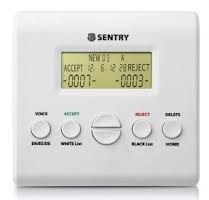 Below is the list of the top selling call blockers in the US market and abroad. Under each call blocker product you will find links to compare each product with the T-Lock Call Blocker product, as well as links to read reviews in Amazon, questions and answers by customers. The product comparisons were created to assist consumers in comparing the features and functionality available in various call blockers. Our main goal is to provide unbiased recommendations to consumers. The data presented is based on actual testing of these products as well as extensive research about these products using their support websites and available documentation from the product engineers and/or manufacturers. (1) People who purchased the product, got frustrated too quick, and did not take the time to understand how the product really work, or ask for help. It’s also a fact that many of the negative feedback is provided by individuals who decided to return the product after spending 5 minutes of less with it, and without making any effort in learning how the product really works. Unfortunately, if you decide to buy a call blocker, you need to commit sometime to learn how to operate this product. In essence, you are buying a piece of electronics and it takes time to learn how it works. Please do not get inpatient. most of these products offer free technical support, so take advantage of this! (2) We also found that some of these reviews are entered by and/or manipulated by the some of the sellers of these products. In this process, we discovered that some sellers have provided misleading and/or wrong information about the products, causing a lot of confusion among the customers. Unfortunately this happens because some of these sellers have very limited technical knowledge about these products.